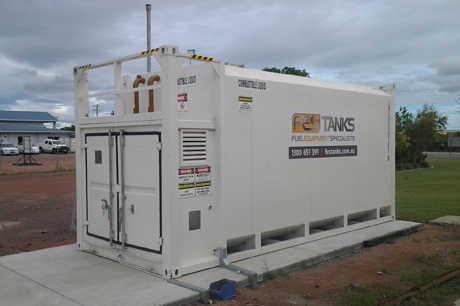 FES TANKS is Officially Launched - Fuel Equipment Specialists Pty. Ltd. It is with great pride and excitement that we can officially announce the launch of a new division with Fuel Equipment Specialists. Fuel Equipment Specialists Tanks or FES TANKS has been establish purely to address the growing demand that we have found for the supply of specialist self bunded storage tanks. These tanks come in a variety of sizes ranging from small bloc style portable tanks right up to large shipping style sized tanks. So in all our tank storage capacities ranges from 1,000 litres up to 69,000 litres, so something for everyone. So please feel free to take a look around the new website and pass on valuable feedback you may have.